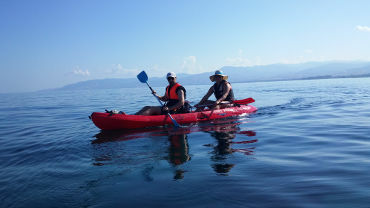 Cool divers invite you to explore the coast line of Pomos area or Akamas Peninsula while riding the waves under the guidance of our supervisor. 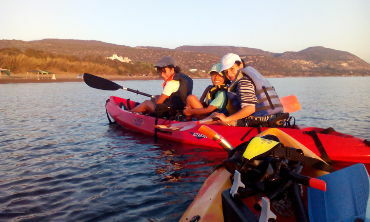 Our Kayak tours are safe, fun and easy for everyone to do it. The guides are certified lifeguards and have current First Aid and CPR training. 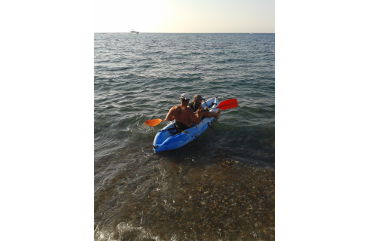 Only high quality touring kayaks are used. 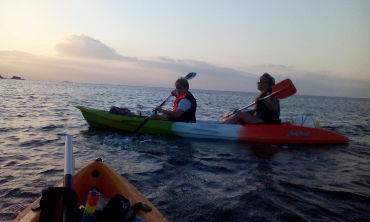 Our small groups provide you the opportunity to come closer with the unique marine life and wildlife. Which kayak tour is right for you? 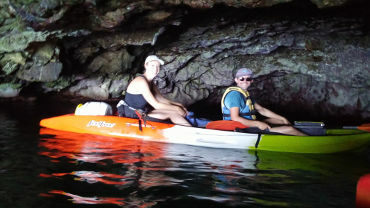 Any kayak tour plus DSD program. Any kayak tour plus dive. Any kayak tour plus snorkeling. Setting up the tour is easy. Make a reservation by phone or email and let us know the date you would like to enjoy the tour, how many people, and your choice of a single or a double kayak. 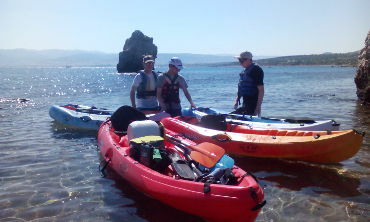 We will give you directions at the launch point and your guide will be waiting for you with the kayaks ready to go. A brief session with instructions will be provided. Remember to bring sun protection. A hat and polarized sunglasses will enhance your experience allowing you to observe better the underwater activity. Wear comfortable clothing and shoes that can get wet. 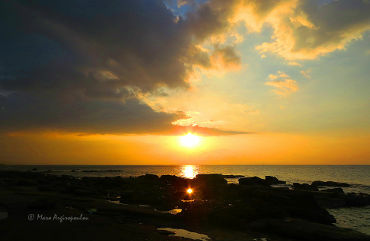 Location: Latchi beach to Aphrodite’s Rock. Location: Latchi beach to Anassa beach. 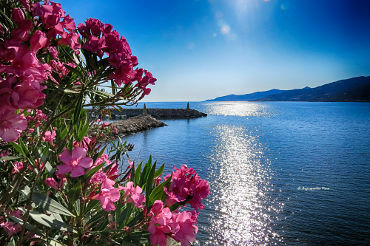 Location: Nea Dimmata village to Pomos harbor.